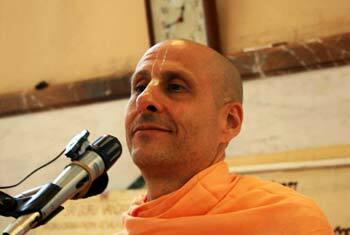 Question to Radhanath Swami: Since childhood I have always heard there is one God, but then why there so many religions? 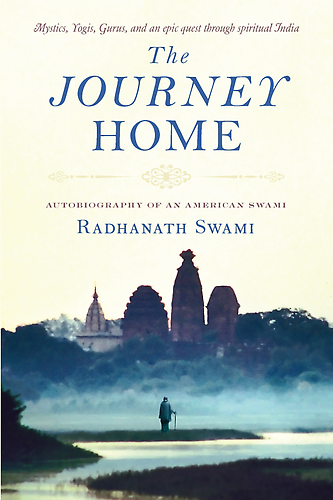 Radhanath Swami: God appears in many varieties of wonderful ways just according to the need. 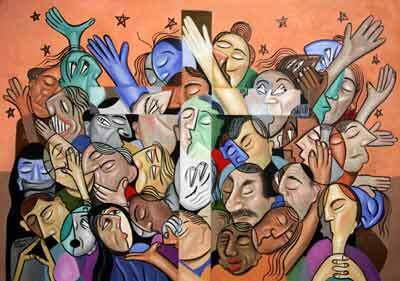 So when some people say they do not understand why there are many different religions in this world, they are right. Actually, there is only one religion. Religion means obedience to the law of God for the purpose of developing our love for God. It is called Sanatana Dharma. Sanatana Dharma is the essential truth that underlies all religions. Sanatana Dharma means that we all are part of God and our natural function is to serve him with love. According to the predicament of the condition souls at a particular time in history God magnanimously reveals Himself in just the perfect way to fulfill his purpose of re-establishing the principles of Sanatana Dharma. For instance, it is mentioned in scriptures that once there was a great flood and in that great flood all living beings and Vedas were in danger, and Lord appeared as a very large fish – The ‘Matasya Avatar’. Another time it is described that due to the exploitative, selfish and greedy, activities of the great demon Hiranakshya, the entire earth was cast into the bottom of the Garbhodakshayi Ocean. It is nature of a hog to look for things deep inside lonely places. We always find hogs going to the bottom. Therefore, when the earth was in the bottom of the Garbhodakshayi Ocean, the Lord appeared in the most suitable form of a hog, but he was not an ordinary hog. He went to the bottom of the ocean and like a hog searching around, he found the earth, picked it up and brought it back. Similarly, for the same reason of re-establishing Sanatana Dharma, the Lord either comes himself personally or sends his representatives, whether it is Jesus Christ, Mohammed or Buddha.